Here are the contexts of the quotes tweeted from @sueannbowling from September 13 through September 19. All but the last are from Intrigues, the second book of the Colloquium Chronicles by Mercedes Lackey. “I have known many young lovers, and most were fools.” The Archivist, pointing out the most likely reason that Mags’ parents had left their own homes. “Being taken by surprise by success can be as hazardous as being taken by surprise by failure.” Setham, warning Mags that success in the game of Kirball could make him popular unexpectedly. “No one ever anticipates great intelligence out of a games player or a fine warrior.” Nicholas to Mags, after Mags gets on a Kirball team. “Low profile” need not include avoiding that kind of success. “Ye learn a mite or two ‘bout eatin’ when ye ain’t got a lot t’ eat.” Mags, explaining to Bear why he is eating only a light lunch before Kirball practice. “It’d be nice if some people’d think wi’ their heads, ‘stead uv some other parts.” Mags, when he realizes that many, even Heralds, are suspicious that the “foreigner” in a foreseeing may be him. “Anybody object to a bed?” Tourist Trap, by Sue Ann Bowling. The travelers have been asked if they mind overnighting at a supply cabin, instead of camping out. These are the quotes tweeted between September 6 and September 12 from @sueannbowling. All but the last of these quotes are from Dragonquest, by Anne McCaffrey. “Adolescence was only a step of life, not a career in itself.” F’nor musing on how some dragonriders, able to impress a dragon in adolescence, never really moved on from that time. “You solve one problem and five more appear from between. F’lar, when Lessa points out that Groghe wants the dragonriders to go to the red star and wipe out thread at the source. “Nothing can be decided in heat or hatred.” F’lar, after Kylara has been responsible for the death of two queens, and effectively lost her mind as a result. “It was one matter to keep dangerous secrets privy. Quite another to guard Craft skills to extinction.” Robinton’s thought, recognizing that many of the losses of information were due to Craftmasters dying before they had passed on all the craft matters kept secret. “A man ought not to be afraid to say he didn’t know.” Lessa, approving of Wansor’s refusal to state more than he knows when they are first viewing the Red Star through a telescope. “They’re learning because they love.” F’nor, after her fire lizards have stood between Brekke and a possible second Impression. These are the quotes that have been tweeted from @sueannbowling from August 23 through August 29. 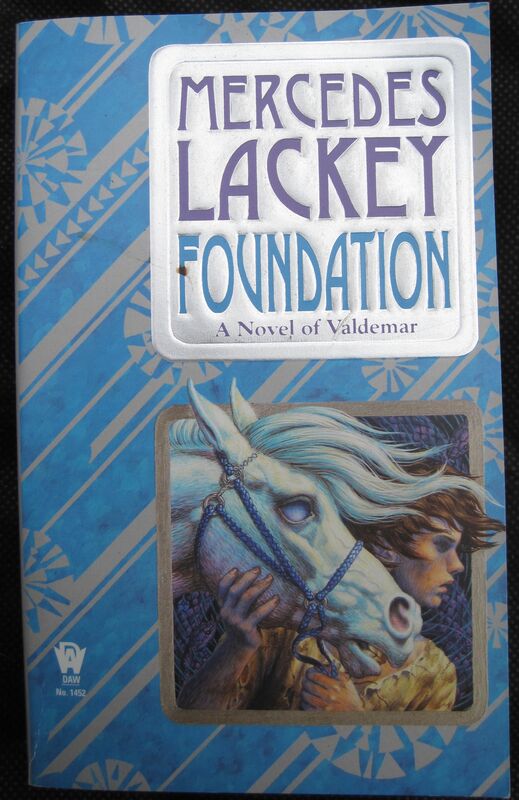 “Change is on us, and not everyone likes that change.” Foundation, by Mercedes Lackey. Nikolas, recruiting Mags to help in his observations. “Ethics—that is the slippery side of ‘right and wrong’” Foundation, by Mercedes Lackey. Nikolas, helping Mags understand the ethics of using his Gift. 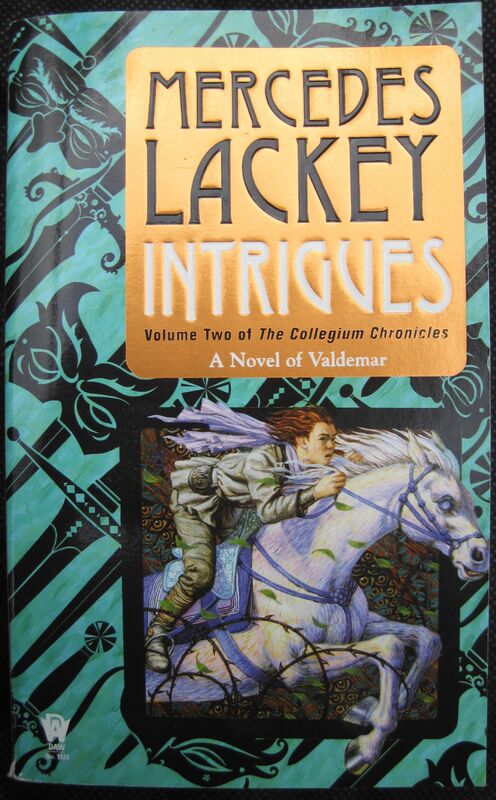 “There will always be bad times; it’s in the nature of things.” Intrigues, by Mercedes Lackey. More of Dallen’s advice to Maggs. “Ye kin paint a crow white, but that ain’t gonna make it a dove.” Intrigues, by Mercedes Lackey. Mags’s thoughts on the appalling behavior of the Bard Marchand. “You are still the same person you were before you learned all this.” Intrigues, by Mercedes Lackey. Dallen’s response to Mags’ discovery of his parents’ fate. “Even now, the memories of that time were hard to face.” Sue Ann Bowling, Homecoming. Marna, faced with the failure of the isolation satellite’s life support system, remembering the plague that wiped out the population of her planet. These are the quotes that have been tweeted from @sueannbowling over the last seven days. 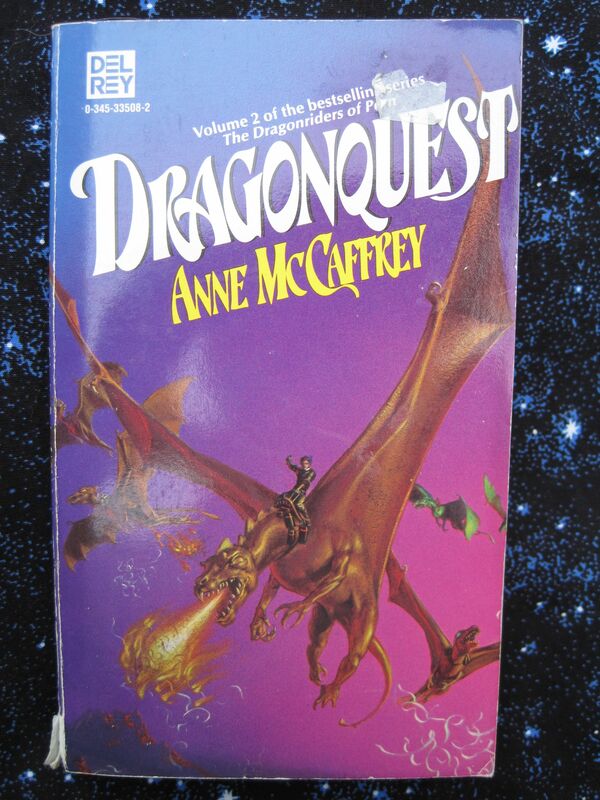 All but the last quote are from Dragonquest, by Anne McCaffrey. “There are other ways of remembering important matters.” Canth to F’nor, when they have first found a fire lizard and neither human records no Canth’s memory holds any trace of dragons being bred from them. “Is age a prerequisite for a loving heart?” Brekke, when F’nor seems to question Mirrim’s impression of three fire lizards. “Does maturity always bring compassion?” More of the same. “Make no judgments where you have no compassion.” Brekke scolding Mirrim when she suggests Kylara is less than would be expected of a weyrwoman. “Silly people waste time assigning or assuming guilt.” Robinton, when Lessa tries to consider herself at fault for the present disagreement between the oldtimers she brought forward in time and the modern dragonriders. “Talk makes no miracles.” Fandarel, speaking to F’lar and Lessa after they have laid out the problem of the oldtimers. “While saying good-bye forever was hard, it was harder yet not to have the chance.” Lai, grieving over Cloudy. Sue Ann Bowling, Homecoming. These are the quotes that were tweeted from Aug 9 through Aug 15 from @sueannbowling. 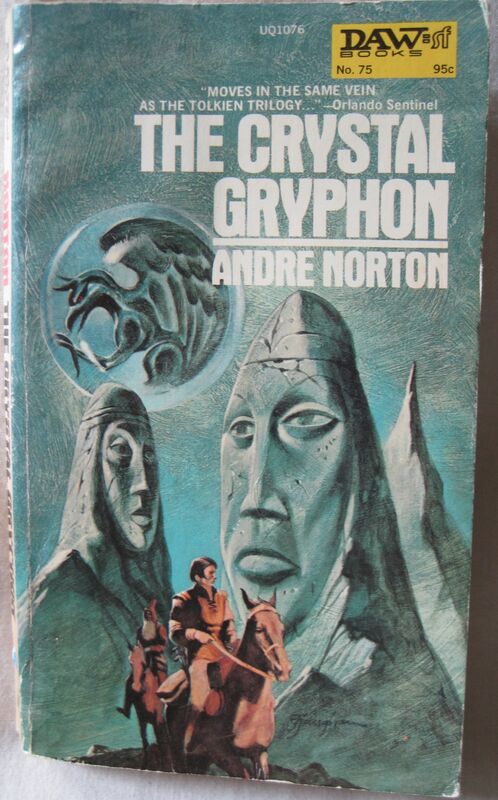 All but the last are from The Crystal Gryphon, by Andre Norton. “The truth is better than any evasion which may later trip one up.” Joisan’s thought when her cousin Ynglida questions her as to whether she has a portrait of Kerovan. “No lord would openly admit that he accepted the will of another.” This is the state of things in High Halleck before Alizon attacks. Riwal is speaking. “What man wishes to see into the future in truth when there are so many ills lying there in wait for us?” Kerovan’s thought after Riwal’s foreseeing. “New dangers mean new ways of dealing with them.” Kerovan’s father, as he realizes that the Dales are likely to be under attack shortly. “Malice can be spread by tongue and lip alone.” Dame Math is telling Joisan of Cyart’s birth, and how rumor nearly destroyed the wise woman who helped their mother. “It’s a stupid word, but I’d have to say he’s nice.” Sue Ann Bowling, Homecoming. Cinda, when Marna first asks her to describe Lai. 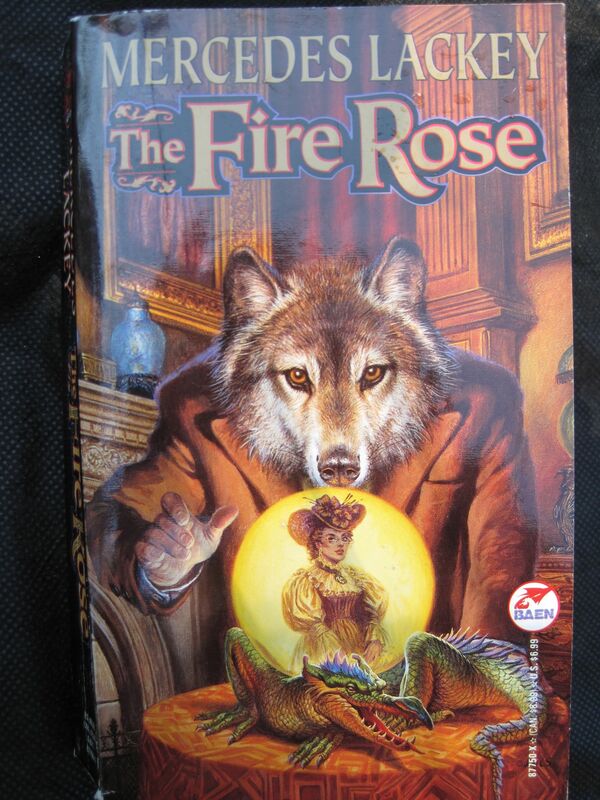 The Fire Rose is not considered to be an official member of the Elemental Masters series, I suspect mostly because it has a different publisher. (The first “official” book of the series is The Serpent’s Shadow.) It is also set in Chicago and the San Francisco area rather than England, and the relationships among the Elemental Masters is somewhat different—the inability of two fire masters to co-exist in the same city is certainly out of line with the White Circle of the later books. But the basic structure—magicians of the classical Greek elements, historical setting sometime between the late nineteenth and early twentieth century, a strong female protagonist before women had the vote, and a plot based on a popular fairy tale—is similar. I suspect The Fire Rose was Lackey’s first experiment using this form, later refined into the Elemental Masters series. The plot is a variation of “Beauty and the Beast,” the two major characters are a Master of fire (the Beast) and an apprentice of air (Beauty), and the setting is the West Coast near the time of the San Francisco Earthquake. If you like werewolves, part of the book is the tragedy of a man caught between the wolf and the human forms by his hubris in trying to apply an incompletely learned spell, and the mental and physical pain he must endure as a result. 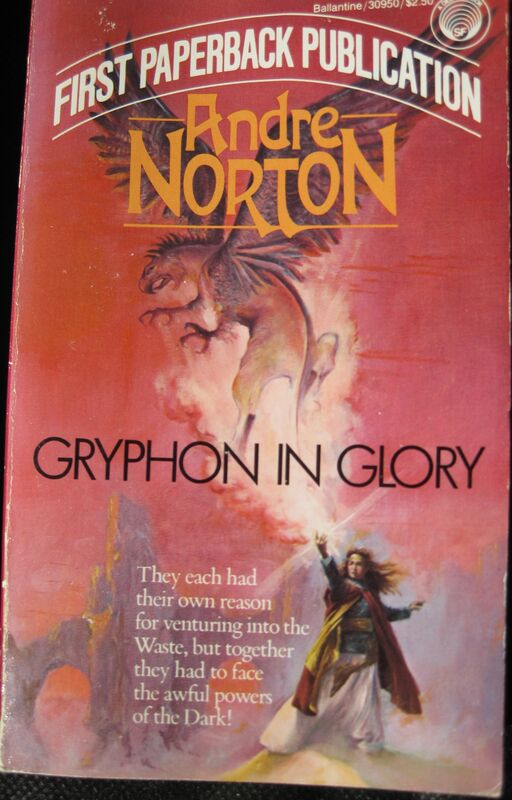 I read this book long before publication of The Serpent’s Shadow, and thought enough of it then to replace it when my original copy was lost in a fire. An enjoyable book, and one I’ve read several times. These are the quotes tweeted over the past week, and all but the last of them were from Anne McCaffrey’s Pern books. “It would be simple … but … it wasn’t simple.” The Masterharper of Pern. “It” is suicide, after Robinton’s wife has died, partly of her exposure on their honeymoon. 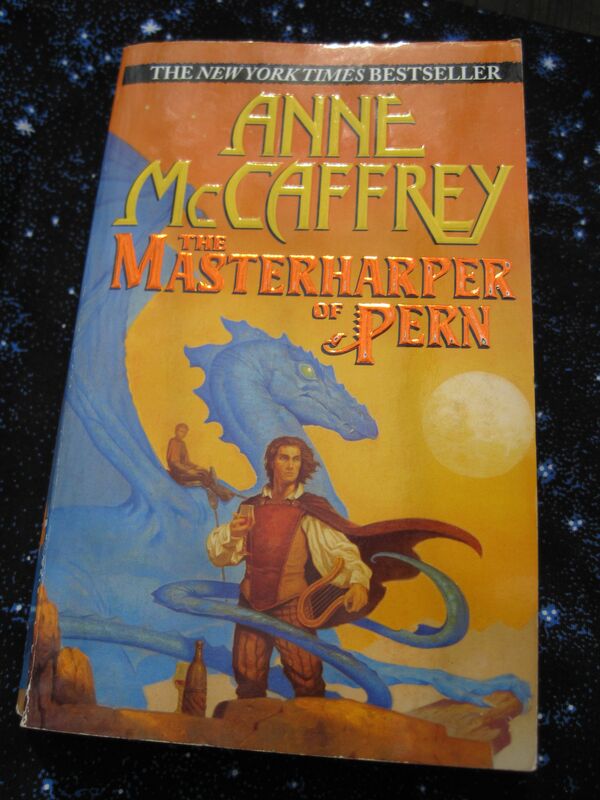 “A man convinced against his will is of his old opinion still.” The Masterharper of Pern. An old saw that Robinton repeats to F’lon, trying to keep him from further antagonizing the Lord Holders. “There’s nothing wrong in doubting. 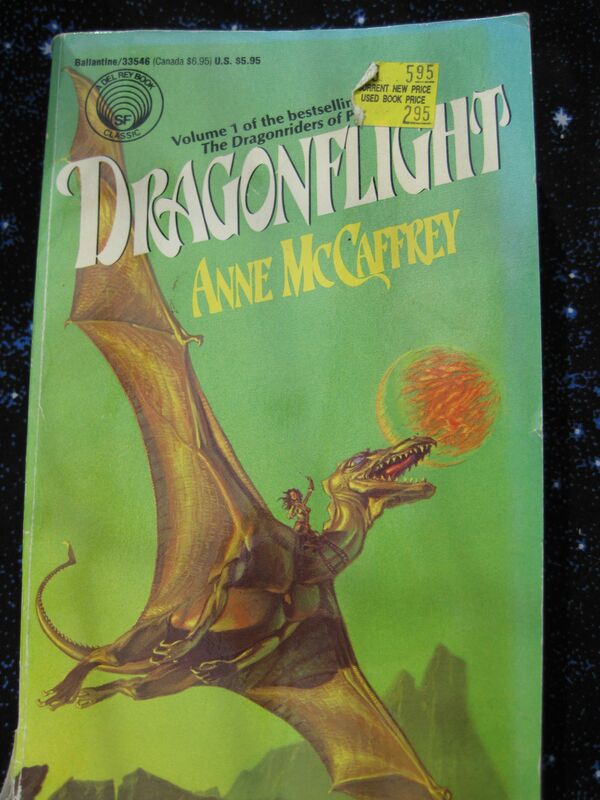 It sometimes leads to greater faith.” Dragonflight, the first book written in the Pern series. F’lar to Lessa, when she is expressing her doubt that Thread will fall again. “I don’t know how to get to a when that has not yet happened.” Dragonflight. F’lar, in response to Robinton’s suggestion that he use the dragons’ ability to go across time to see if his plan is working. “The real problem is to reconcile the old with the new.” Dragonquest. F’lar, speaking to Lessa and realizing that the fight over the knife was only a symptom of the gap in perceptions of those brought forward in time 400 years and the present-day Pern. “I’d get myself in serious trouble someday because I couldn’t tell love from lust.” Sue Ann Bowling, Homecoming. Derik is speaking to Roi, saying what he’d been told long ago. He has had to invade Roi’s memories to tell why he didn’t key a response properly, and found what Roi really thought of his advances. 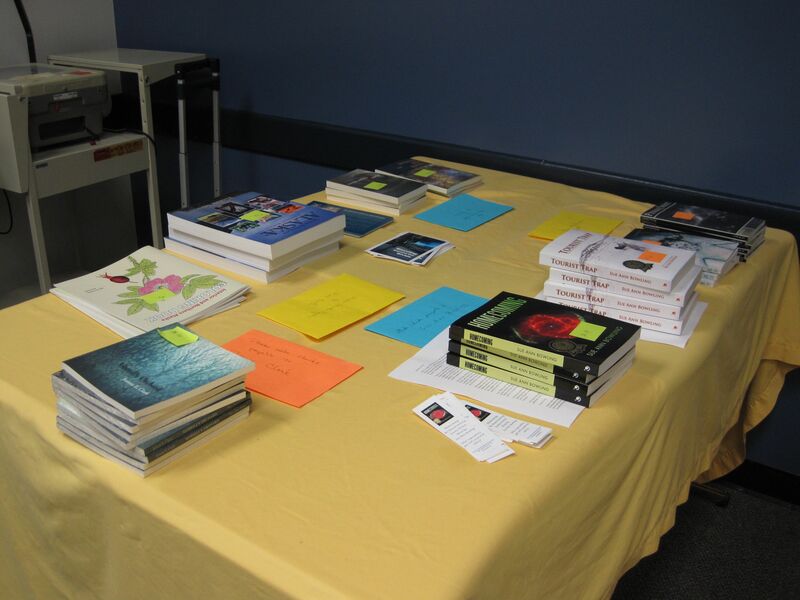 Here are some of the books recommended during the Summer Arts Festival creative writing class. This list will be added to in the future. 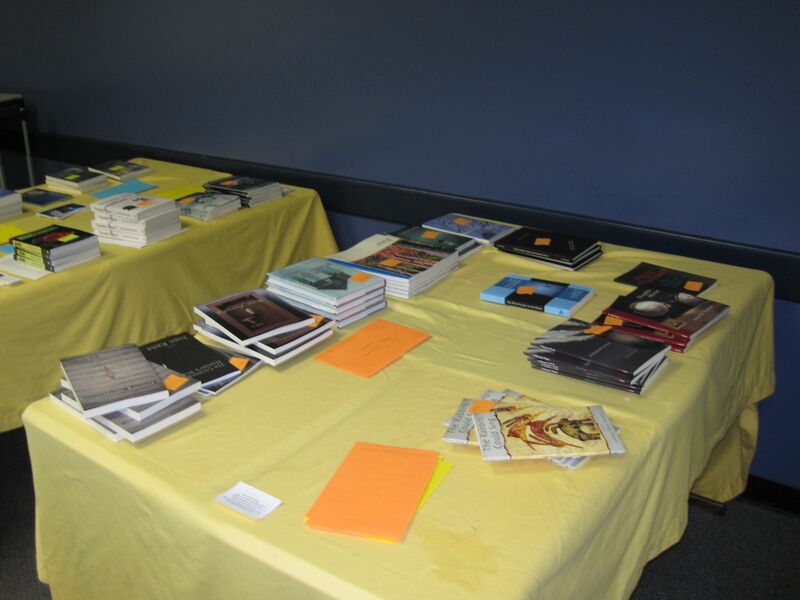 Participants: if you have books that should be added, contact me. Note that the deadline for the Ode to a Dead Salmon contest is approaching!